I’m sitting in a church and having my head blown off. It’s not really a church but it feels like one: a church of sound. The shots flying through the air aren’t bullets, but those mysterious vibrations we call ‘music’. In short, I’m having some kind of aural epiphany. It’s the very thing that anyone who has ever become addicted to the never-ending cycle of hi-fi hits aspires to; the thing that keeps them hooked. They say that heroin is only a revelation the first time, and that from then on the junkie seeks to replicate the experience each time they shoot up, but instead, they just go further down the miserable wormhole of addiction. Being hooked on hi-fi is quite different. It might be a single exposure to some sonic marvel in a specific setting that creates a burning need to either re-experience that moment, or even to go one step further into audio bliss. While it can be frustrating seeking the kind of componentry that will give you the musical fix you require, the high is not only repeatable, but can be improved upon. It just takes patience, and experimentation. Tonight, I’m sitting in the listening room – which I shall call The Temple Of Sound – at PQ Imports. It’s a large, design-specific space that I shall learn from proprietor Paul Quilter was modelled on classic opera house acoustics. 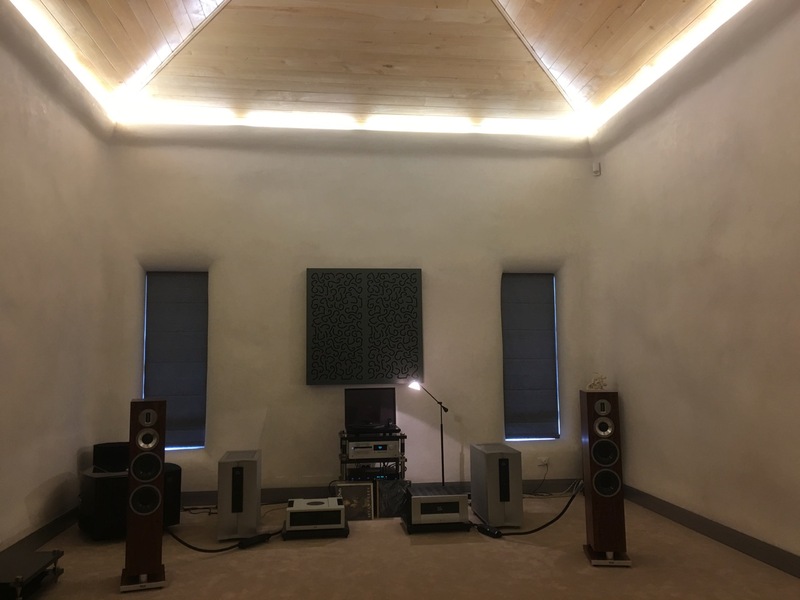 Paul figured out the room’s design and acoustic properties with a mix of maths and intuition, and it is indeed possibly the most exquisite environment for listening to music in the whole of the Southern Hemisphere. You might reasonably contend that anything is going to sound great in this room; that perhaps even one of those Sony disco digital boom boxes could reproduce a magical musical ministration, and you’d have a point. Sort of. But I’ve done enough listening in this superb environment over multiple sessions with different hi-fi gear to know when I’m hearing something beyond the merely excellent. It’s a five-hour drive from my home up North to Paul’s sound room in Tamahere – a farming community 10 minutes from Hamilton’s CBD – and while it’s worth the effort, the gear has to be pretty special to entice this homebody out of his own environment (not to mention the torture of driving on the Waikato Expressway). And as I grew up in Hamilton, and have disliked the place ever since (for reasons explained here), it’s not exactly the destination of choice. The gear was indeed special. Powerful VTL Siegfried power amps and VTL TL7.511 Line stage preamp are the engine room of this system, but what brought me here tonight are two other newish components: the handsome MoFi UltraDeck turntable from the Mobile Fidelity Electronics division, playing through a pair of rather gorgeous ProAc K6 floorstanding loudspeakers. Witchdoctor has been trying to get our hands on the MoFi Ultradeck and at least one model of the new range of ProAcs since late last year, but demand has been so high for both that before anything can be sent to one of our reviewers, they sell out. 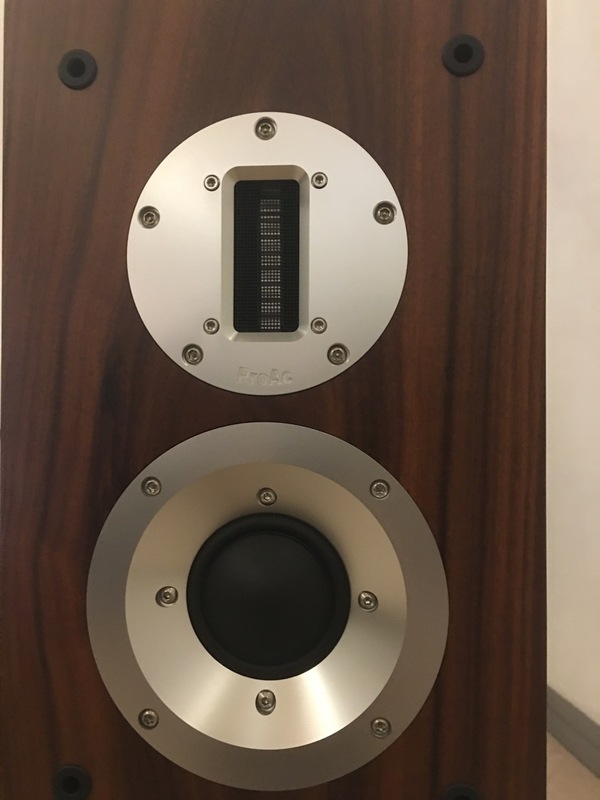 And to make matters even more complicated, each pair of ProAc speakers requires a couple of weeks’ run-in before it starts to sound like it should. 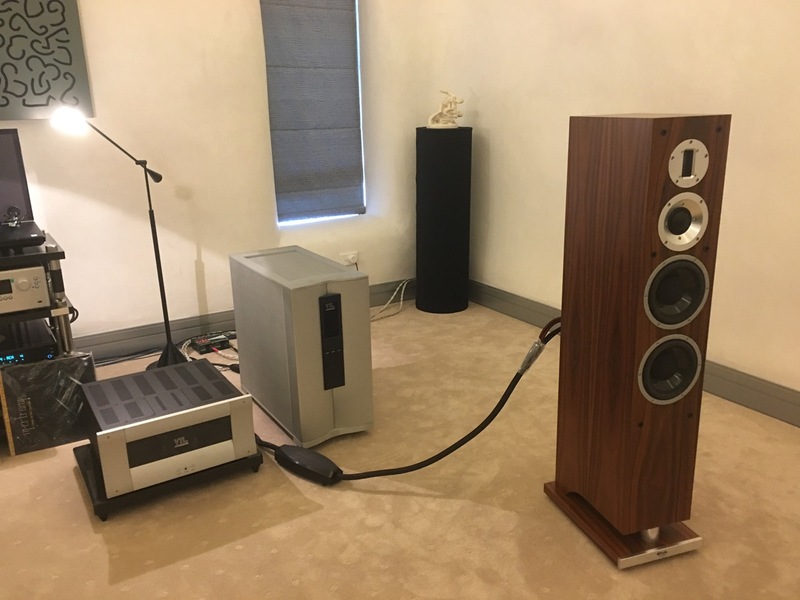 In fact, during my time at PQ Imports, Paul was running in a pair of entry-level ProAc DT8 floorstanders, which are getting glowing reports as perhaps the best value vs. sound equation on the market at the price (a mere $4,499). 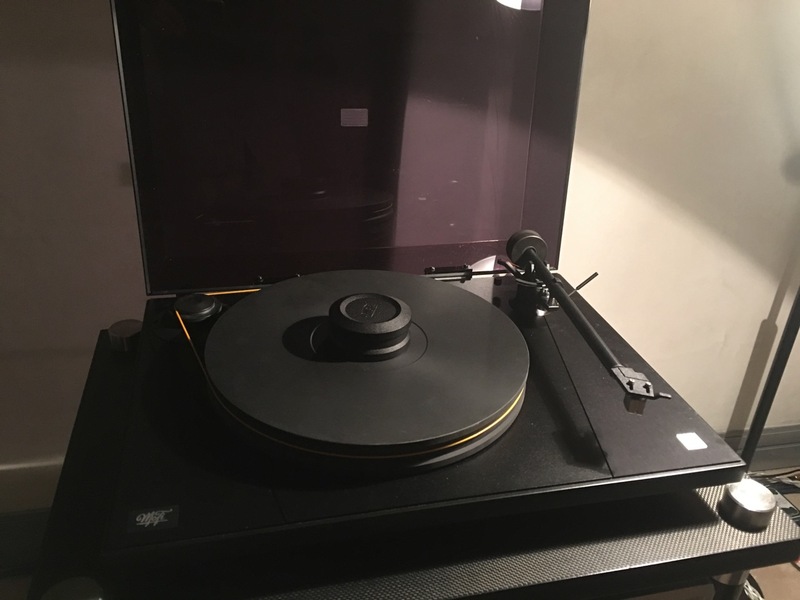 Tonight’s exposure to both the MoFi turntable and one of the new ProAc speakers isn’t, therefore, intended as a review but instead, a kind of off-the-cuff first look-and-listen. But I digress: back to my aural epiphany! Paul places the needle on a Chuck Mangione track, ‘Children Of Sanchez’. Now, for those who haven’t heard this song, it’s worth noting that it starts out unpromisingly, in the sense that while it’s a socially conscious lyric about starving children and war, for quite some time it consists entirely of a rather straining vocal and (admittedly rather beautiful) acoustic guitar picking. At first, I thought it was going to go on like this forever, and it is an epic song at 14:08. But! At 3:37 the most incredible explosion of percussion erupts, and soon there’s a fulsome blasting horn-laden melody that’s at once elegant and powerful. Now, every hi-fi salesperson has ‘trick’ tracks up their sleeves: songs that make any reasonable hi-fi sound its absolute best, and ‘Children Of Sanchez’ definitely belongs in that category, but it’s also a very sonically demanding track, and on the wrong system those blasting horns at high volume would have been a tortuous endurance test for any listener. The dynamic range is also extraordinary, and a poor speaker would have noticeable difficulty handling it, as would a poor turntable/cartridge have tracking it, for that matter. Good ol’ Chuck’s explosive 14-minute epic sounded simply amazing through the MoFi turntable and the ProAc speakers; so much so that I got my sonic jollies from it – a thrill that’s my homebody equivalent of bungee jumping or speed-racing, but ultimately just as fulfilling as it was thrilling, because it’s music after all, something that vibrates through the air and connects in a way that’s not simply auditory signals but has real human value as well; that says something about the connectedness of human beings and life on the planet. It’s a cliché, I know, but inevitable: the instruments really did sound like actual instruments were in the room, and it was only the occasional crackle of vinyl that gave the game away; that disengaged the listener briefly from the superb illusion. There was incredible separation of each horn instrument and the texture of each was fat and liquid yet somehow also tensile and penetrating without being sharp. And then there was the bass. There must have been a subwoofer, surely? Nope, the REL super sub at the back wasn’t switched on. But you’re probably thinking right now that I’d had one too many glasses of wine that night. The answer is that I didn’t drink at all. The experience of the music was all I needed. What else got spun, then? Well, the first record was a track from Supertramp’s Crime Of The Century album. Despite being a progressive rock fan, I’m not overly familiar with this group. Of course, I heard the hit singles on the radio at the time in the mid-to-late ‘70s, and more recently I’ve acquired a compilation, but they’ve never quite been my preferred cup of tea. The way they sounded through on the MoFi and ProAcs made me want to get to know them better. The bass was prodigious, but not overwhelming, all the instruments were well separated, the sound-stage was enormous and the sound picture was believable in every way. I’ve never been much of a Bryan Ferry fan, either, but the 45rpm 12-inch single of ‘The Right Stuff’ Paul played was featured incredible bass response, precise musicality, and it just sounded so good. The next morning I returned for a session that bypassed the MoFi turntable so I could hear some of my own CDs. Paul lined up his T+A PDP3000HV SACD player to take over source duties. I played my usual hi-fi test CDs and was surprised and (mostly) delighted by the results. To save banging on for too long, I’ll mention only three of them. The T+A-plus ProAc (as well as the same amplification components used the night before) made the classic 1977 Brand X jazz-rock fusion track ‘Nuclear Burn’ sound as fresh as the day it was minted, with extended bass, incredible control over the way it handled the fussy time signatures, and a fruity and beautifully transparent handling of the electric guitar performance. Emiliana Torrini’s ‘Birds’ was also just perfect, with the singer’s sweet/sour voice sounding very tender and the dynamic shifts in the instrumentation at the mid-point perfectly magical. My one slight disappointment with the ProAcs was the way they handled electronic music. 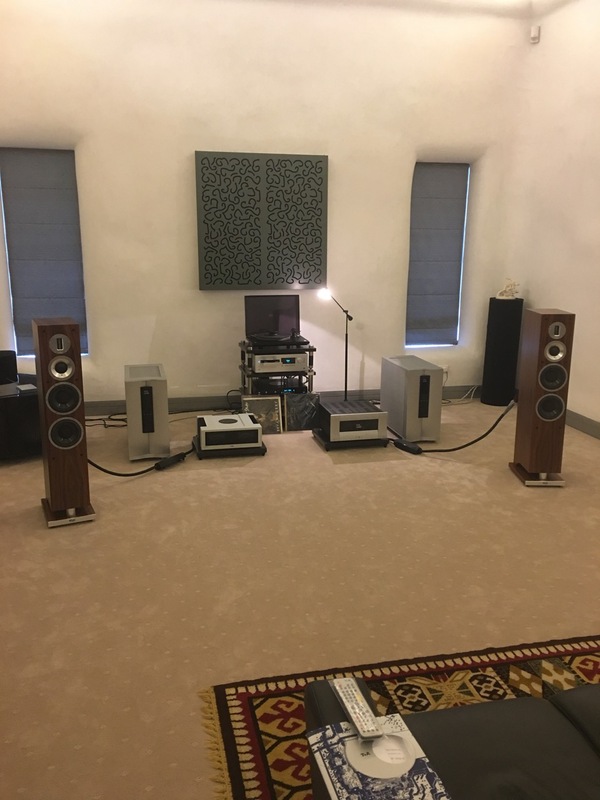 Brendan Perry’s Arc album is very digital and sounds incredible on my Martin Logan Purity’s with its subtle beeping noises moving across the stereo spectrum with pinpoint accuracy, and while it sounded very nice on the ProAc K6’s, it lacked the bite and widescreen appeal of the MLs. I had an interesting conversation with Paul about this. He baulks at the idea that some speakers are only good with certain types of music and reckons that good speakers should sound excellent on any well-recorded record: rubbish in, rubbish out, as they say. But when I explained about how the ProAcs didn’t quite do it for me on some electronic music, Paul said that this could be due to the preference of the owners of ProAc for classical music, and the ‘voicing’ they give to their speakers as a consequence. 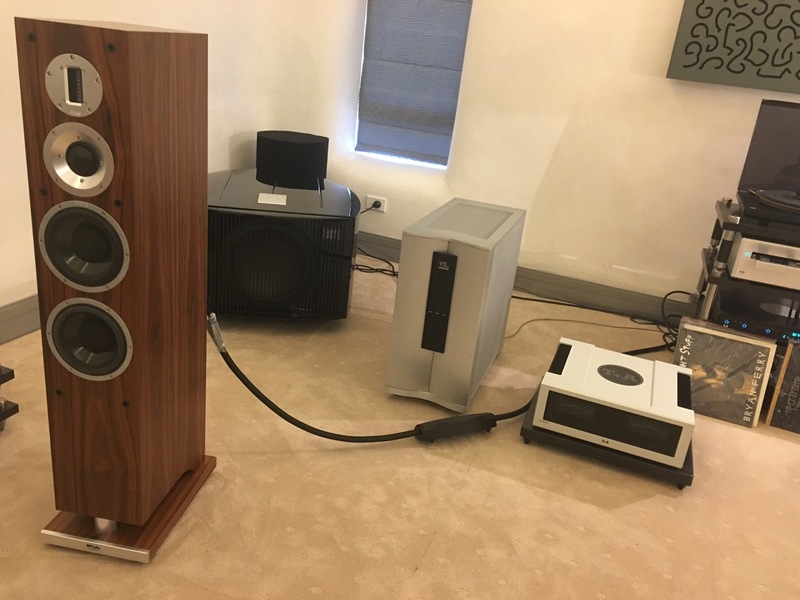 ProAc is a family-owned English company who still build every speaker by hand and manipulate each speaker to have the magical buttery, engaging quality that ProAc is famous for. While the speakers will sound great on rock, rap or electronic music, they really come into their own on tracks like the Mangione’s ‘Children Of Sanchez’ where the instruments have been recorded ‘live’ in a room and there’s air around them and there’s a natural dynamic. And I have to add to that that had I not heard the aforementioned Brendan Perry track on a pair of Martin Logans I would never have perceived any lacking in the ProAc’s performance on those tracks. I left PQ Imports that day feeling reinvigorated for music, and as a fan of MoFi, ProAc and T+A. 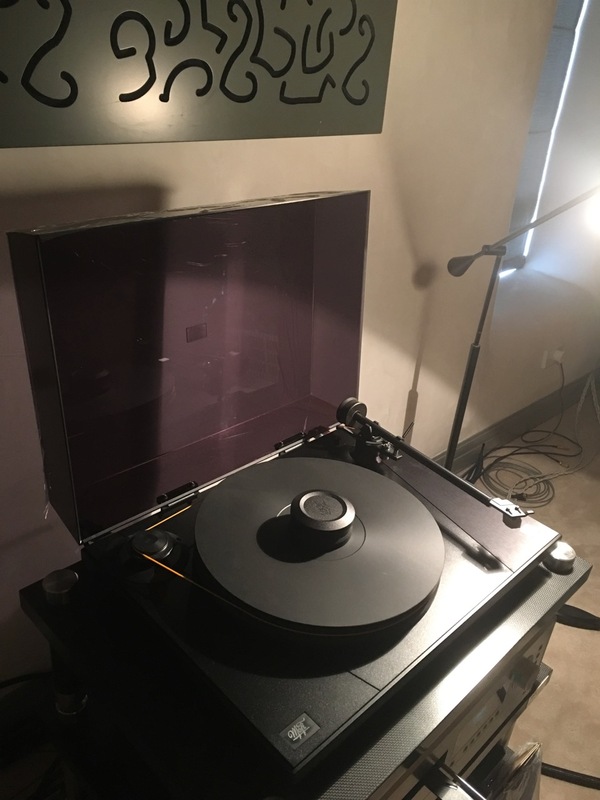 The MoFi UltraDeck is a spectacularly clever piece of engineering and offers a turntable (completely assembled, no messing around and with excellent onboard cartridge) for a price that has to be at least $10K less than equivalent-sounding rigs. I should also mention that there was a MoFi Studio phonostage in the loop, although Witchdoctor will go into more detail on that piece of desirable kit some other time. 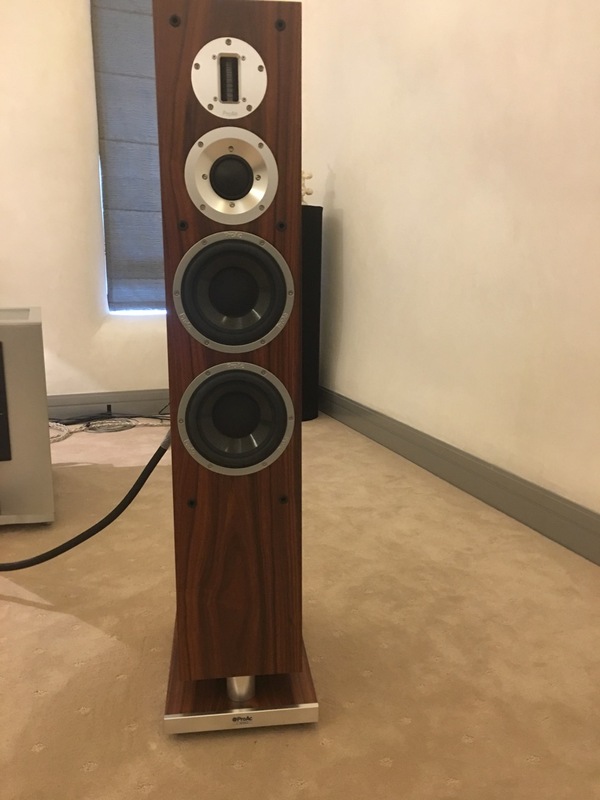 I’ve experienced ProAc speakers on a few occasions but never had the opportunity to really listen, and everything I’ve heard about them is true. If I was to say one thing about them it’s that they make music sound like music, and they make the listener want to listen to that music. 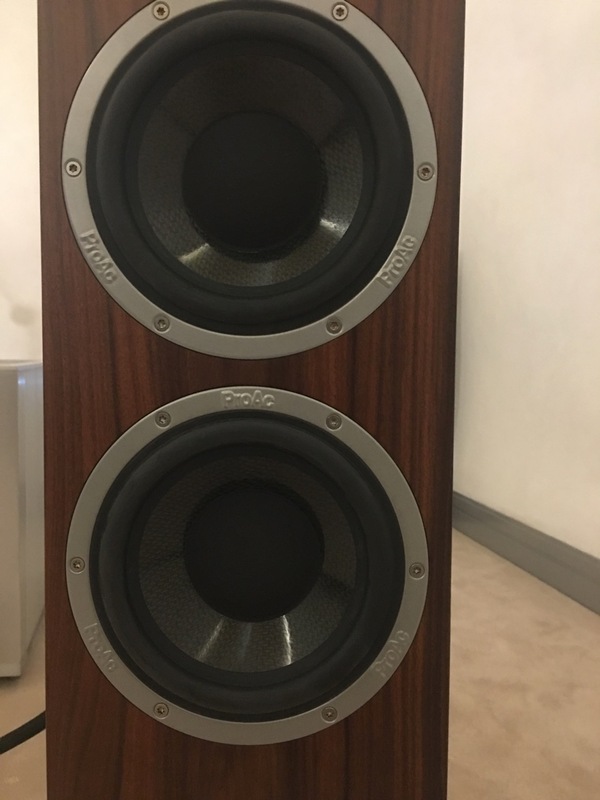 My GoldenEar Triton 1’s are a completely different beast and useful to me as a music reviewer with a very wide genre-pool because they handle a lot of different types of music very well, and can also deputise as home theatre speakers. But they’re not engaging like the ProAcs, which means that I can remain dry-eyed when I listen to something emotional. The very first time I heard a pair of ProAcs I sat down and felt my eyes tearing up: there was just something exquisite about the way they conveyed music in all its emotive fullness. So some day, I may even take the plunge and buy a pair. PQ Imports is housed in a environmentally sustainable 15,000 square foot straw building that includes the PQ Imports business and warehouse, living quarters for Paul and Joy Quilter, the aforementioned demo room, and two separate, beautifully appointed B&B apartments. You can read Ashley Kramer’s report on this extraordinary structure here, or go here to book into the B&B, which Joy runs. If I was seriously in the market for acquiring superb audio gear, I would book a night or two at the B&B and ask Paul for time in the demo room, and for his advice, of course!